The Song will help all couples - from the just-engaged to lifelong - by providing ministry resources built from the pages of Scripture. The Song's message, alongside teaching by Kyle Idleman, will help you delve into topics like: Intimacy, conflict, restoration and commitment - delivery couples from the baggage of the past and helping them transform their relationships and awaken true love. 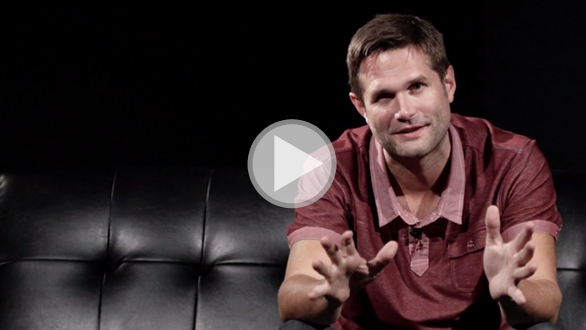 Watch this special message from Kyle Idleman about The Song campaign. The Song Church Kit- Outreach Exclusive-Combines the DVD-Study and Pastor's Kit into one, all-inclusive package! Based on the film in theaters on September 26, 2014! Invite your church and community to a new series that can strengthen their marriages and personal relationships. The Song is a candid exploration of God’s plan for relationships, love and marriage. With straightforward Bible teaching through The Song of Solomon from pastor and bestselling author Kyle Idleman, The Song addresses real-world relationship issues like dating and romance, intimacy, conflict, restoration and cultivating true commitment.